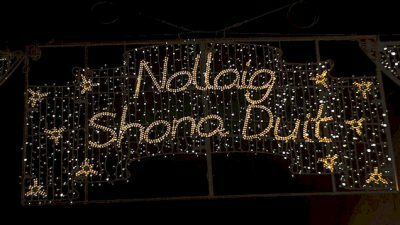 Christmas and the New Year are major occasions in Ireland, the country essentially shuts down for a week or more and adopts a holiday spirit with great gusto. 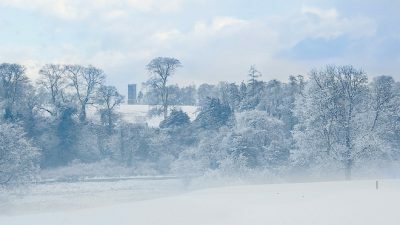 While in many ways the celebrations are similar to those in other places where the holiday is important – and new ‘foreign’ customs are increasingly incorporated alongside old ones – there are some unique traditions which have persisted for generations, such as ‘hunting the wren‘. Food is at the heart of any celebration and for most families the Christmas Cake and Christmas Pudding are an essential part of the feast. 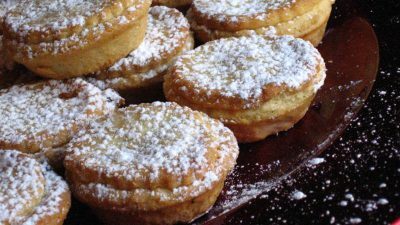 While there are almost as many recipes as families, the ones here are my own family favourites and have stood the test of time. I hope you’ll enjoy them too. 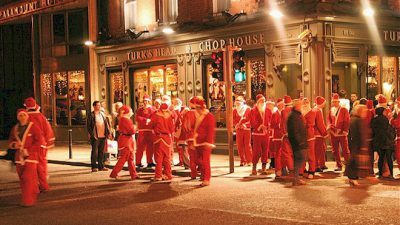 Christmas is a major event in Ireland, both as a holiday and as an occasion for frenzied shopping and overindulgence - much as it is everywhere else. 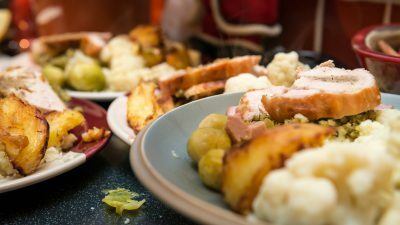 What life is like at Christmas in Ireland, from the days and weeks of preparation, to Christmas day and the lead in to a New Year. 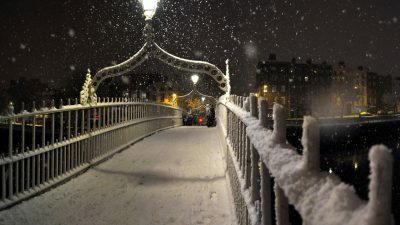 Because Ireland kind of stops dead over the Christmas period, it may not be the best time to travel. 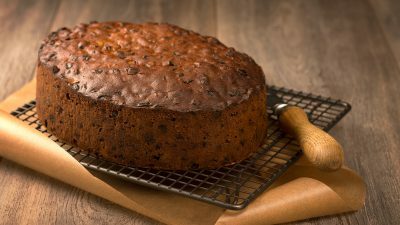 Made with plenty of fruit, nuts and Irish Whiskey and topped with marzipan and white frosting, the Christmas cake is a central part of Christmas in Ireland.